Today I have a couple of floral “Thinking of You” cards with the Moments of Grace Stamp & Die Set. There are lots of beautiful & encouraging sentiments along with adorable flowers & foliage!! I die cut a 4.25″ x 5.5″ rectangle panel from Cream Cardstock using the Basic Rectangles Die Set, then trimmed the right side of the panel down. Next, I ink blended the panel with Candied Apple, Picked Raspberry, and Tattered Rose Distress Inks. Allow to dry. I stamped flowers & leaves from the Moments of Grace Set on white cardstock using Memento Tuxedo Black Dye Ink, coloured them with Faber-Castell polychromos colored pencils, then die cut them with matching dies. Once the ink blended panel was dry, I stamped the sentiments & tiny butterflies with VersaFine Onyx Black. Finally, I mounted all elements as shown in the picture using foam tape. I embellished with a few PPP Sparkling Clear Jewels. Here is another floral card with the Moments of Grace Stamp & Die Set. I stamped the sentiments on the centre of 4.25″ x 5.5″ white rectangle panel with VersaFine Onyx Black. I stamped & polychromos coloured all flowers & leaves, and then die cut them with matching dies. Hello crafty friends, welcome to our very special blog hop collaboration with Pretty Pink Posh & Glue Dots! For my card today, I used the Pumpkin Patch Critters Stamp Set along with Glue Dots Permanent Tape Runner. I randomly stamped adorable Pumpkin Patch Critters on stitched watercolour paper panel using Memento Tuxedo Black dye ink. I then coloured them with polychromos pencils. I made a white heat embossed sentiment banner as well. I used Glue Dots Permanent Tape Runner to adhere all panels. 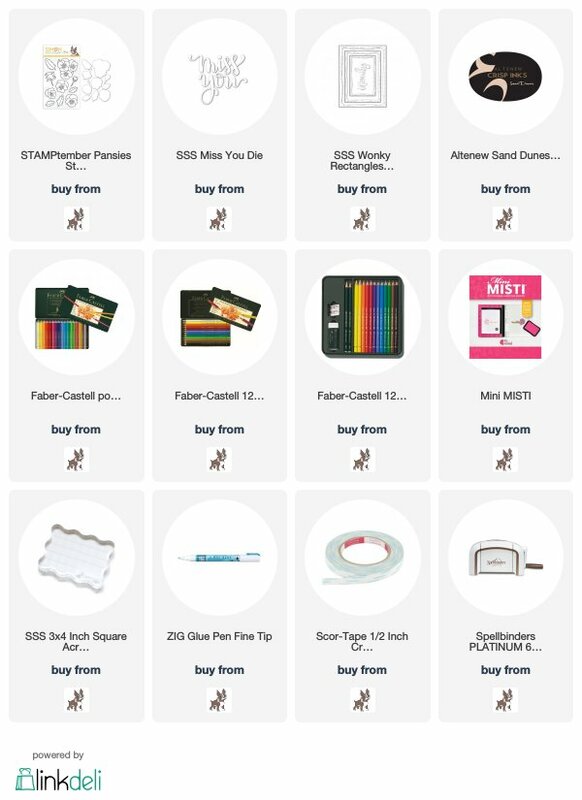 Glue Dots Prize Pack: An assortment of adhesives valued at $100! Pretty Pink Posh Prize Pack: An assortment of goodies up to the value of $75! The only thing you need to do for a chance to win is leave a comment on each of the design team members blogs! Winners will be chosen at random from comments left on all blogs on the blog hop by 6:00 AM PST on October 23rd. Winners will be announced on the Pretty Pink Posh and Glue Dots blog. Hello crafty friends, welcome to the Pinkfresh Studio October Release Blog Hop! We have 5 stamp & die sets, 1 sentiment stamp set, 9 stand-alone dies in October – all of them are MUST-HAVES!! My cards today, I am featuring the Happy Hugs Stamp & Die Set along with the Geo Star 2 Die. I started by stamping a cute hugging bear on kraft card stock using black dye ink. I coloured the stamped image with polychromos colored pencils, and then die cut it with matching die. I heat embossed the sentiment on black card stock in white. For the background panel, I did dry embossing with the Geo Star 2 die. I then inked all edges with Vintage Photo Distress ink, coloured 4 (kind of) star shapes using white polychromos pencil. Here is another Christmas card with the Happy Hugs Stamp Set. I randomly stamped bears & “hugs” words on kraft paper panel using black dye ink, coloured them with polychromos pencils. For the sentiment, I used a free HUGS die. I die cut it from white card stock five times, stacked them up using fine tip glue pen. Pinkfresh Studio will be giving away the ENTIRE OCTOBER RELEASE to one lucky commenter! Also, each one of the designers is giving away a $25 gift card to the Pinkfresh Studio store – the winners will be picked from the comments. All winners will be announced on the Pinkfresh Studio GIVEAWAY PAGE on Sunday, October 14th. Please check that page & claim your prize within 2 weeks. A free HUGS die with purchase – their order must include something from the new release. This die is exclusive to this release promo, and will not be sold later. It is free while supplies last, and they don’t need a code. We will add it to any order that has the new product included. Pinkfresh Studio will also be offering free/discounted shipping from October 9th ~ October 13th on orders $50+. The code is FREESHIPWITH50. Shipping is free in the USA, and $5.50 off for our International friends. Today I have a flower card with another beautiful STAMPtember® Pretty Pink Posh Pansies Set. I die cut the Wonky Rectangle panel from white card stock at first. I then randomly stamped pansies & leaves with Altenew Sand Dunes dye ink. I coloured all stamped images with polychromos colored pencils. For the sentiment, I die cut the word “Miss You” from white card stock three times, stacked them up using fine tip glue pen.